Ultimate Gaming, which last year became the first company to launch regulated online poker in the United States, announced Friday that it is ceasing operations in Nevada effective immediately. The company cited a challenging operating environment as the reason for its sudden closure. The news comes less than two months after the company exited the online poker market in New Jersey. Ultimate Gaming ended its online gambling partnership with Trump Taj Mahal Associates LLC in Atlantic City after the casino filed for Chapter 11 bankruptcy protection. Now, 19 months after its triumphant launch in the U.S., Ultimate Poker is no longer a player in the country's online poker market. "As has been the case in other jurisdictions, online poker revenues in Nevada have fallen far short of original projections,” said Tom Breitling, Chairman of Ultimate Gaming. "Moreover, the state-by-state approach to online gaming has created an extremely cost-prohibitive and challenging operating environment. These factors have combined to make the path to profitability very difficult and uncertain. Consequently, we have decided to cease operations." Ultimate Gaming was first on the scene in Nevada, launching months before the World Series of Poker-branded online poker room got off the ground. However, it took only weeks for WSOP.com to surpass Ultimate in real-money traffic. Ultimate Poker's numbers had been sliding since the start of the year, averaging around half the number of real-money players of WSOP.com. The Ultimate Poker website is no longer accepting bets from players, and the five casinos Nevada casinos affiliated with Ultimate Poker have also ceased operations. 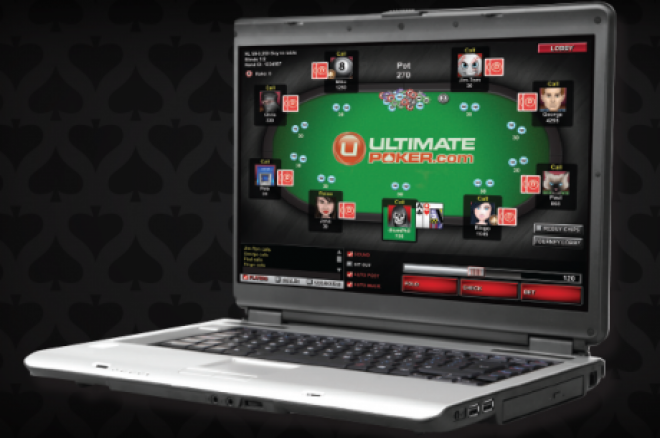 All customers seeking information concerning their account can go online at www.ultimatepoker.com and click Support. We will have more on this story as it develops. Get all the latest PokerNews updates on your social media outlets. Follow us on Twitter and find us on both Facebook and Google+! Will Poland Permit More Online Gaming Operators and Online Games?